Cyrus can solve anything! Whether it be puzzles, mysteries, or riddles, if there’s a problem to be solved, Cy’s your guy! But in this original musical, Cyrus meets his match – math class. 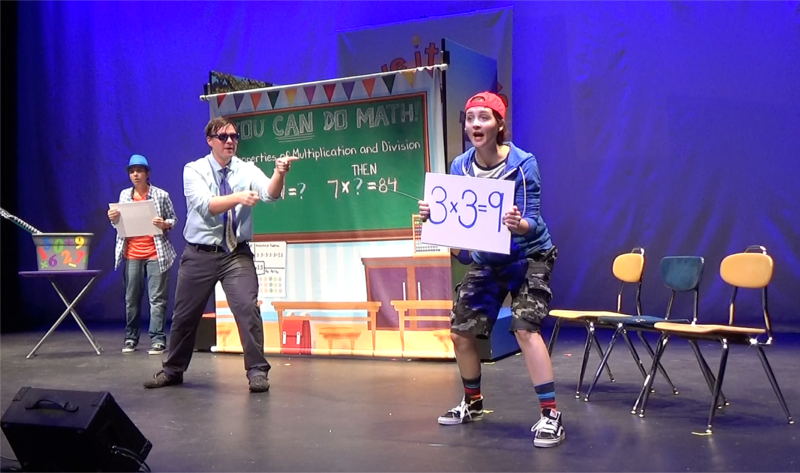 Come along as “Solve it Cyrus” and his friends learn the ins and outs of all things math in “The Aftermath of Math Class.” Students and teachers alike will learn what makes math fun in this delightfully charming musical adventure! The PAC and Francis Marion University offer the Children Series at a minimal cost — $5 per show. Many students pay nothing, thanks to “scholarships” based on need established through federal school lunch guidelines. Generous series sponsors, most notably Duke Energy, have supported the Children’s Series since its inception in 2012. For more information on bringing your school group to these performances, please contact our ticket office at 843-661-4444.